With the assistance of people interested in the history of exploration and aviation, Karen Angel founded the JIMMIE ANGEL HISTORICAL PROJECT (JAHP) in 1996, Federal Tax Number 68-0372407. The JAHP is incorporated in the State of California as a 501(c) (3) nonprofit, public benefit corporation to foster research and to provide accurate information about aviator-explorer James “Jimmie” Crawford Angel (1899-1956), his friends and associates, and their era of exploration with an emphasis on exploration in Venezuela during the 1920s through the 1940s. Venezuelan Carlos A. Freeman took this photo of Angel Falls from Jimmie Angel's airplane on 1 May 1939. 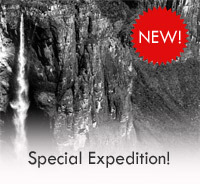 It and a companion photo of Angel Falls were the first published photographs of Angel Falls appearing in"Exploración de la Gran Sabana," Revista de Fomento, No. 19, December 1939. JAHP maintains an archive of photographs, documents and published materials that is shared by appointment with journalists, filmmakers, museum curators, teachers and students. JAHP works in cooperation with individuals, organizations, and governmental agencies that are interested in the preservation of Jimmie Angel’s airplane El Rio Caroni which is a national monument in Venezuela. With proper conservation El Rio Caroni will be preserved for future generations to see. Karen Angel, founder of the JIMMIE ANGEL HISTORICAL PROJECT (JAHP) and the President of the JAHP Board of Directors, is the daughter of Jimmie Angel’s youngest brother Clyde Marshall Angel (1917-1997). 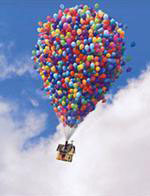 Karen writes, “When I was about eight years old, my father presented me with a beautifully wrapped gift. I was disappointed to find that the wrappings contained an empty album. He told me that my task was to collect and keep the Angel Family History, especially the history of his oldest brother Jimmie Angel. It troubled him that there were many stories about his brother that were not true and other stories that did not seem plausible to him. I must have disappointed my father by not taking up the task when he gave me the album. 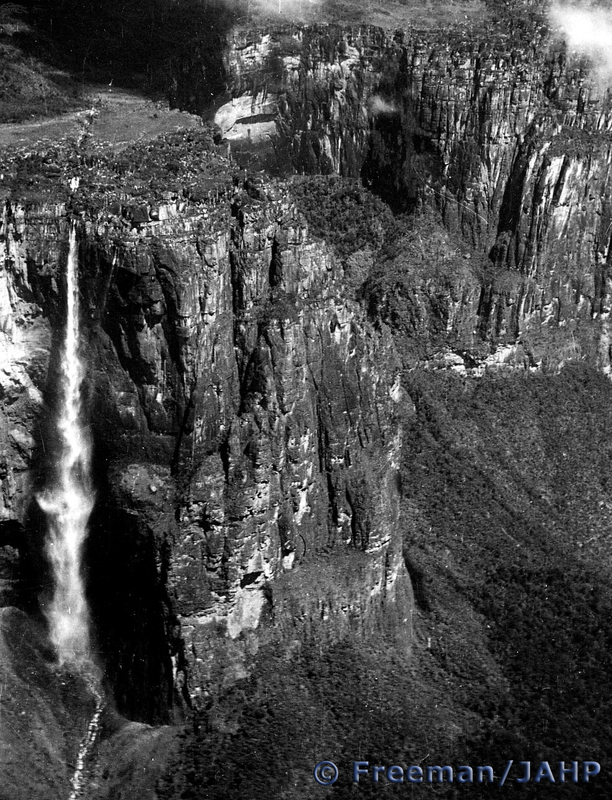 Some forty years later I was struck with the desire to travel to Venezuela to see Angel Falls. While there in 1994, I met many Venezuelans who were familiar with Jimmie Angel. What was astonishing to me was that almost everyone I met in Venezuela had heard of him. In the United States, I had met very few people who knew his name or about Angel Falls.